This ticket allows standard access to both days of Sea Star Festival 2019 from Friday 24th May to Saturday 25th May. 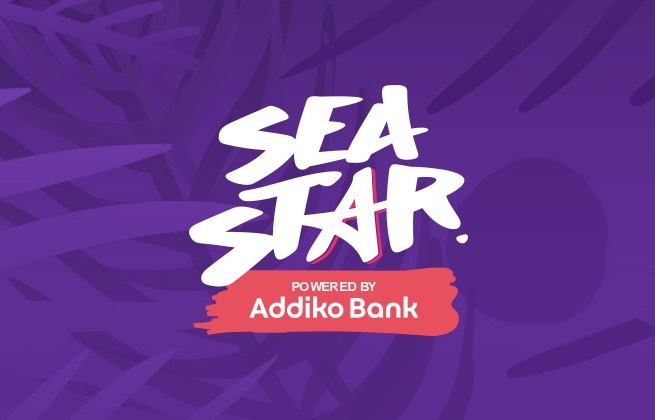 This ticket allows VIP access to the Sea Star Festival 2019 and access to VIP area from Friday 24th May to Saturday 25th May. This is a Camping Ticket for one person to the Sea Star Festival 2019 campsite from Friday 24th May to Saturday 25th May - only valid with a Festival Ticket! In a newly renovated camp, the combination of a crystal blue lagoon, sun, and many attractions make an ideal formula for a new summer. In the beautiful ambiance of Umag, fun and new friends are guaranteed after unforgettable nights at the festival. Accommodation includes Wi-Fi, power sockets, showers, toilets, washbasins, washing machines (at extra cost), dishwasher, a large complex of outdoor swimming pools - for adults and children, safe at the reception (at extra cost). The Village Sol Garden Istra hotel is located in the Katoro tourist complex only 250 meters from the Adriatic Sea and connected to Umag's center by a 3 km long seafront promenade. The hotel is an ideal holiday destination for family fun or sports-minded travelers with its modern water park featuring numerous pools, waterfalls and other attractions. 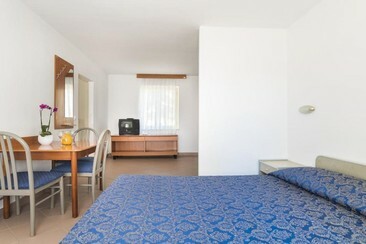 All of the rooms are both comfortable and functional with warm and welcoming decorations. They come with minibars, desks, safes, flat-screen TVs, hairdryers, private bathrooms and furnished balconies perfect to enjoy the sun and relax in the beautiful sunsets. 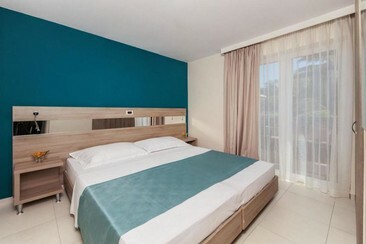 Additionally, the hotel has 3 buffet-style restaurants with show-cooking service and extensive menu offer (Istrian, Mediterranean, International), an excellent à la carte restaurant, Istrian Tavern, a lobby bar, Istrian Snack Bar, and a snack bar by the pool. Other services and facilities include a business center, wellness center, fitness programs led by specialized coaches, sport and medical massages, gift shop, laundry service, hairdresser's, multilingual staff, and free parking. Sol Garden Istra hotel is decorated in a rustic Istrian village style, with a lot of lavender, olive trees planted everywhere and only 250 m from the sea in the Katoro tourist resort, near Umag. The hotel is centrally located within a 4-minute walk from the beach and 19 km from Sečovlje Salina Nature Park. Guests can enjoy drinks in a lobby bar, and an indoor/outdoor water park with pools and waterslides; relax in the wellness centre, with sauna, relaxation room and Sport Art centre where you can play basketball or do many evening entertainments. 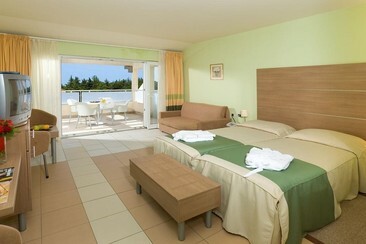 All rooms have air conditioning, a balcony, free Wi-Fi access, flat-screen TVs, minifridges and sea views. Polynesia is located in the Katoro tourist resort of Umag, just outside the city centre. Home to the largest swimming pool in Umag, the Polynesia property is the perfect destination for a sun-filled holiday. Guests can take in the scenic views of the Adriatic Sea or enjoy one of the countless other outdoor activities nearby. 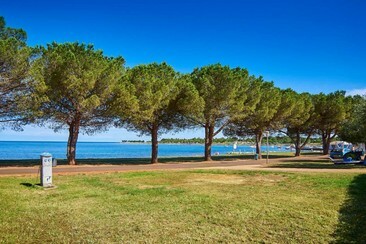 Surrounded by a lush landscape, Polynesia is an unsurpassed beauty of Umag. The property has 450 apartments and bungalows featuring living room, kitchen and a terrace. An outdoor swimming pool with sunbathing terrace is available to enjoy. These recently renovated 4* star apartments for 4-6 persons range from classic and superior. The apartments feature a bedroom with double bed, living room with sofa bed, LCD SAT TV, equipped kitchen, bathroom, safety deposit box, air-conditioning and free Wi-Fi access. Guests can make use of the outdoor pool with sundeck and there are many sports and recreational activities available nearby. Sol Amfora apartments are in the centre of the Stella Maris resort, a breathtaking seaside destination in Umag. There is no shortage of entertainment possibilities surrounding Sol Amfora, as the apartments are within walking distance to the ATP tennis stadium, restaurants and the Adriatic Sea. Just steps from the award-winning Laguna beach, the newly-renovated Umag apartments are a prime location for beach enthusiasts. Melia Istrian Villas combine traditional Istrian architecture with modern comfort in a serene and tranquil setting. Located in the Stella Maris resort, the Melia Istrian Villas are surrounded by flourishing pine trees, steps from the Adriatic Sea. The property has 180 villas, including seven "Luxury" and 23 "Superior" villas. Each offers luxury and privacy for an unforgettable Istrian vacation. Also on the grounds is the tennis stadium, which each summer hosts the ATP Konzum Croatia Open Umag.